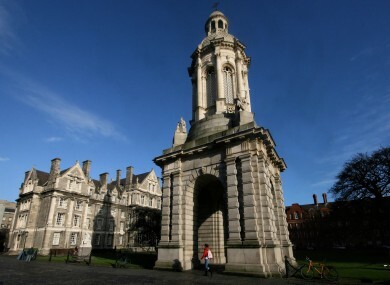 LEADING ACADEMICS HAVE warned that Ireland needs to start charging college fees again, or face a catastrophic decline in higher education standards. The provost of Trinity, Paddy Prendergast, yesterday told the Irish Daily Mail that the college has only two-thirds of the budget enjoyed by its equivalents in the UK, and third-level institutions would enter a “speedy and inexorable decline” without a cash injection from fees. UCD president Hugh Brady said Irish colleges “cannot possibly compete” with British institutions, which charge students up to €10,000 a year. Their comments came after three Irish universities slipped significantly in new world rankings released yesterday. Education minister Ruairí Quinn recently ruled out the idea of a government-led student loan scheme as a way of funding universities – leading to widespread speculation that fees could be on the way back in. Quinn has insisted third-level fees are “not desirable” as they would introduce a “barrier” to third-level education, and even signed a pre-election pledge not to increase them. However, some have suggested that the college registration payment – which has been steadily increasing and this year rose from €1,500 to €2,000 – is already becoming a student fee by another name. So what do you think? Should third-level tuition fees be reintroduced? No - and there shouldn't be any registration or other fees either. Email “Poll: Should third-level tuition fees be reintroduced?”. Feedback on “Poll: Should third-level tuition fees be reintroduced?”.